The nation’s leading builder of active adult communities will open its third valley location on June 9. A rendering of the entrance to the Del Webb community in Rancho Mirage. 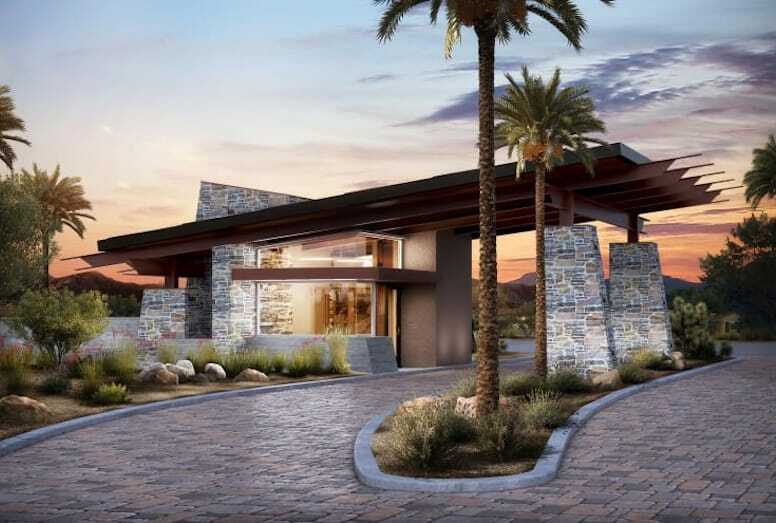 Del Webb, the nation’s leading builder of active adult communities, has scheduled the grand opening of its Rancho Mirage community for June 9. Del Webb at Rancho Mirage is the Company’s third 55+ community in the Coachella Valley. The gated 380-acre community will contain 1,026 single family detached homes on fee simple land, meaning homebuyers will own their lots. Homebuyers will be able to choose from 10 floor plans, ranging in size from 1,438 to 2,726 square feet, with 2-4 bedrooms and a wide array of customizable options so homes can be tailored to fit unique tastes and complement active adult lifestyles. Features like spacious kitchens and adjoining gathering rooms are ideal for entertaining and private owner’s suites are a perfect retreat for rest and relaxation. Pricing starts in the upper $300s. “We developed these great designs based on what the active adult buyer told us they wanted in a Del Webb home, and the variety of the options offered at Del Webb at Rancho Mirage makes it easier than ever for buyers to personalize their homes to suit their individual wants and needs,” said Edgar. A well-appointed amenity complex, The Outlook, opening in 2019 will feature legendary Del Webb lifestyle amenities complete with outdoor and covered pools, a fitness facility, billiards, aerobics rooms, golf simulator, and multi-purpose spaces designed to host the many activities and social clubs offered. Residents will also enjoy the more than six miles of meandering walking trails. A dedicated activities and lifestyle director will be onsite to plan events for residents. In addition to the community’s amenities, golf courses, world class restaurants, shopping areas and downtown Palm Springs are just a short drive away. For more information, visit delwebb.com/ranchomirage or call 877-285-3285.